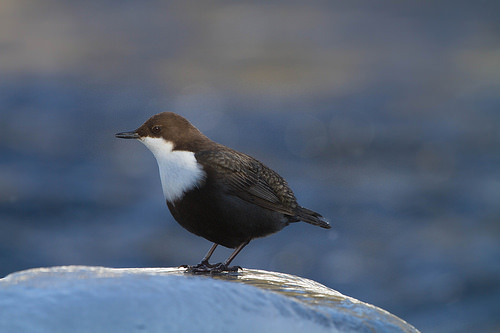 The Dipper is a typical bird, with a slight resemblance to a Wren. 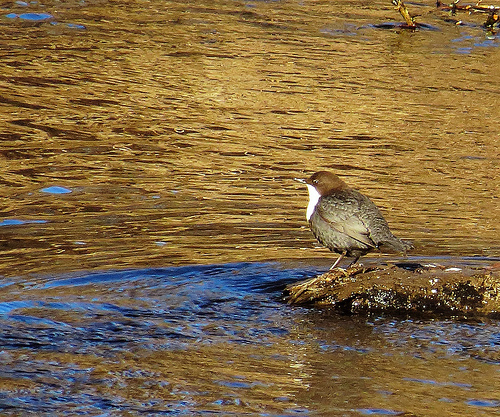 You will find the Dipper especially along streams. There it catches insects and small crustaceans, not only above the waterline, but also under water!